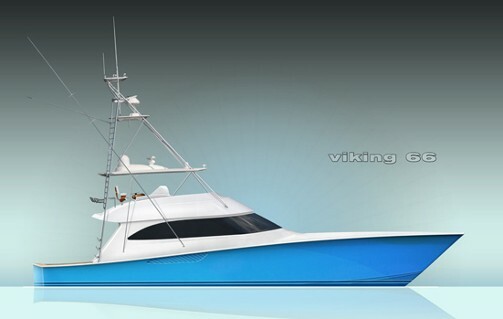 Beautifully designed, this VIKING 72' SPORT CRUISER rides on a solid fiberglass deep-V hull with a wide beam and propeller tunnels to reduce draft. Her spacious interior comes with five staterooms, a Master, VIP & Two Guest Staterooms, and the optional crew stateroom aft. It features an opulent full beam owner’s suite with an en suite office and private salon access, a sunken galley (with an electrically activated partition to separate it from the dining area), and a richly appointed salon with lacquered cherry woodwork and 4 Sofas, an Entertainment Center w/Bar & Refrigerator recessed into cabinetry, and glass cabinets. 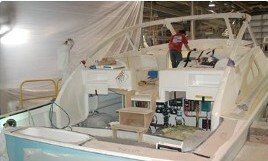 The cockpit features bench seating, a Stern Garage & Swim platform. A door under the flybridge steps leads to the crew quarters and engine room. The flybridge is large enough to support both a tender and a PWC as well as a wet bar, grill & lounge area. 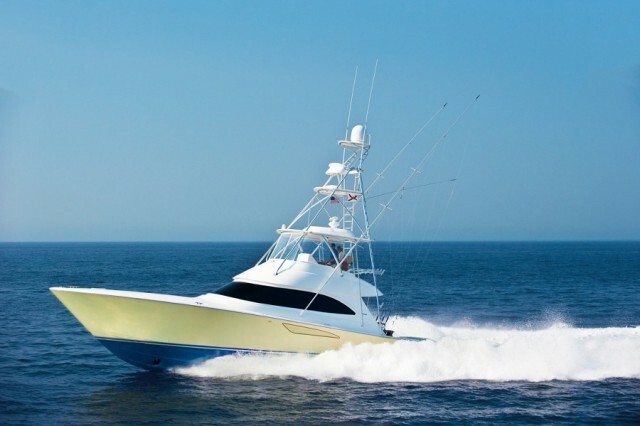 Additional features include full Synthetic teak decks, port and starboard deck doors at the helm, wide side decks, synthetic teak swim platform, and a foredeck sun pad. This boat is in need of a new home and the condition is reflected in the price. 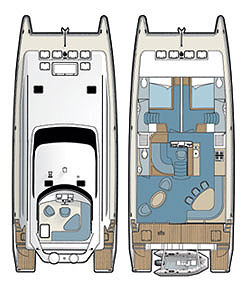 Below deck, beginning forward is the VIP Stateroom with a centerline queen size bed, nightstand and dressing table. Above the bed is a deck hatch and portholes are both port and starboard. This stateroom features a Panasonic TV on a swivel; a multifunction telephone, Sony radio and CD player, and a JVC VHS. 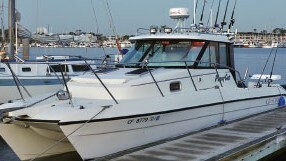 Starboard and forward is a private head with toilet, wash basin, enclosed shower and bidet. Aft of the VIP Stateroom are 2 identical guest staterooms, port and starboard. Each has twin beds, a nightstand, a Sony radio with a CD player, a multi-function telephone, and Sanyo Flat Screens with DVD players. The portside guest stateroom has private access through an internal doorway to a head with toilet, bidet, wash basin, and enclosed shower. The head can also be accessed from the passageway by a second door to be shared by the starboard guest stateroom and for use as a day head. The passageway from the VIP stateroom and guest stateroom leads up several stairs to the main deck.